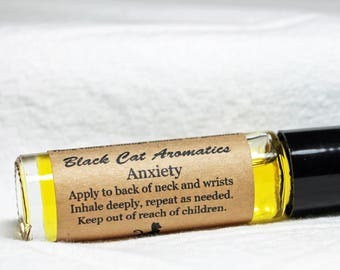 Roll-On bottles are a quick, convenient way to benefit from the therapeutic properties of carrier oils & essential oils. 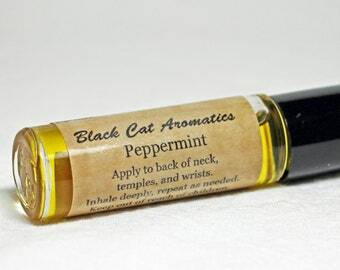 The bottles are small enough to fit in a purse or pocket. 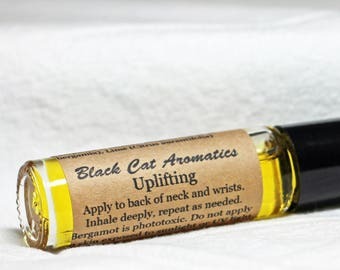 It's easy to apply the oils to the skin without drips or applicators. Feeling emotional and out-of-sorts? Experiencing PMS symptoms? 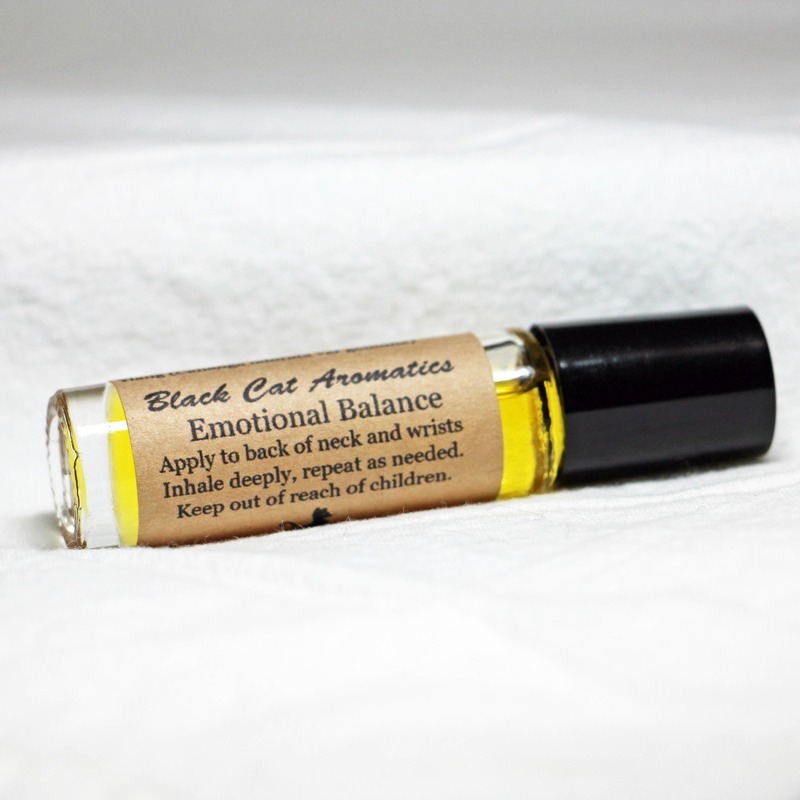 Apply Emotional Balance Roll-On to back of neck and wrists. Inhale deeply, repeat as needed. This blend of essential oils offers support when experiencing PMS symptoms or during times of situational imbalance. Keep out of reach of children. Discontinue use if any skin irritation begins. Store in a cool, dark place when not in use. Do not store in extreme heat or sunlight. 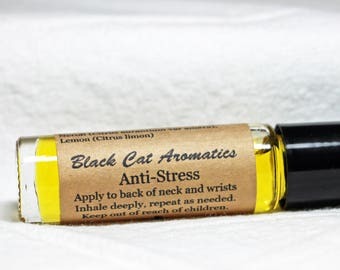 Roll-On Bottles at Black Cat Aromatics are made to order to ensure freshness. Please allow 1-2 days for shipping. 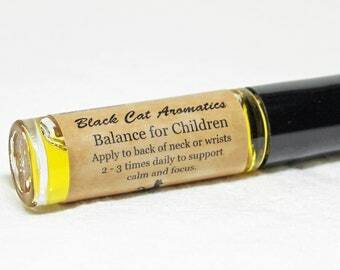 All essential oils are GC/MS tested for purity and therapeutic properties. They are also either organically grown or wild crafted. 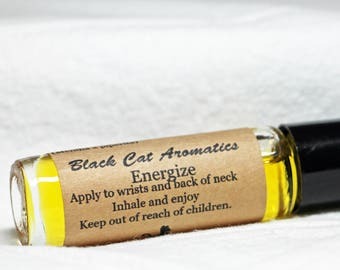 before using any aromatherapy products or products containing essential oils. DISCLAIMER: These statements have not been evaluated by the FDA. 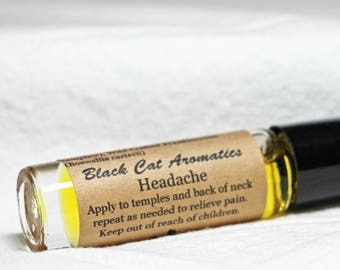 Black Cat Aromatics products are not intended to diagnose, treat, cure or prevent any disease. These statements are not meant to replace the advice of a healthcare professional. 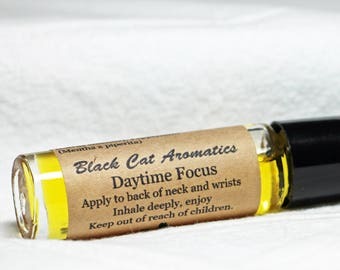 I've only used it for one day, but I can already tell that this blend will help me a lot! The seller is also super helpful, and my order shipped quickly.